Several years ago we had a local tree service top a very tall cherry tree that they described a being top heavy. I felt it was a real threat to our house, but my wife asked them to leave approximately 12 feet standing. It sprouted new limbs, especially at the top, but I also noticed it had ants going in and out of the bark and that it had a large burl. I hated to see the burl go to waste, so I cut it just above a crotch and found it was solid all the way through. This forced me to rethink my original plan of cutting away the wood on either side of the burl. 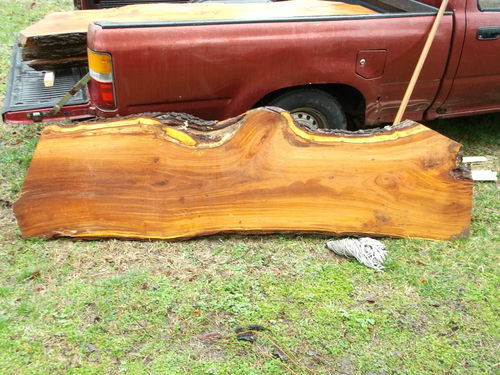 With a log just under 2 feet in diameter and just under 7 feet long I became obsessed with getting it onto a trailer and having it cut into flitches. This was done in March of 2014, so it has been about 1 1/2 years. Here are some pictures of the result and I am open to suggestions/ideas about how to use these slabs. I have several ideas, but am not going to say what they are, because I may hear some ideas that out of the box. 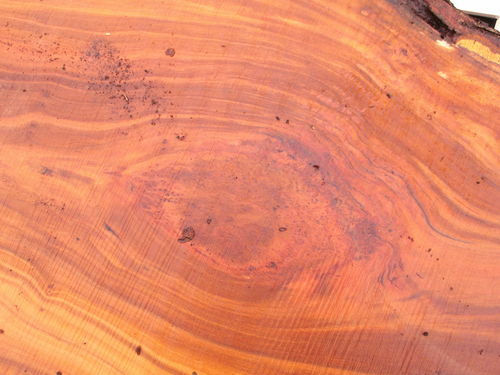 I have 7 flitches that are 8/4 thick and one burl approx 10/4 qt the thickest and 12-15 inches in diameter. 2 slabs together WILL have to be turned into a table with tressel legs. Possibley bar top in rec room ? Now that you have them cut you will find a great use for them. Sell 1/2 make some good money. 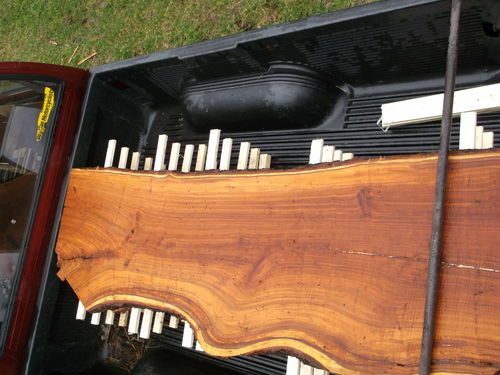 That is some beautiful wood, I’m jealous. 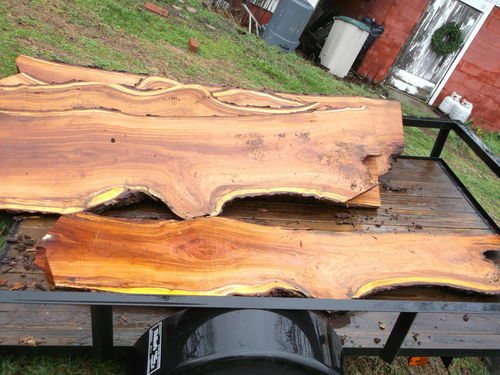 Beautiful wood.make a awesome table. Robyn: Thats some great lookin wood. A nice coffee table in front of the TV. I didn’t show you my Burl today when you were at my shop. I need to know what to do with it also.